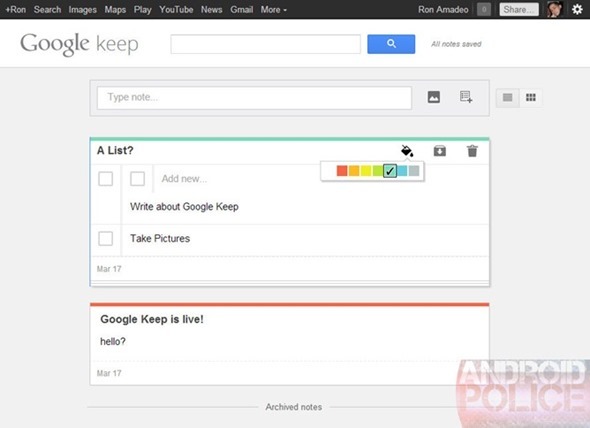 As first reported by the guys over at AndroidPolice, a new note-taking app by the name of Google Keep was spotted earlier on the Google Drive website, only to be taken down shortly thereafter. It is thought the app will allow users to take notes, add pictures to, and create checklists, and for sake of organization, the note-taker will also support color coding. It seems as though the Big G is going for the simple, skimmed-down approach rather than another Notebook incarnate, and will likely go head-to-head with established services such as Evernote. At every point around this time of the year, Google looks to bump off products that aren’t doing so well, or simply do not fit within the company’s future plans. But while the annual Spring Clean has caught the attention of the blogosphere, few expected to see the company adding new services. Google is pretty resilient, and whenever a product fails to make the desired impression – Notebook was a certified flop – the company seldom goes down without a fight. 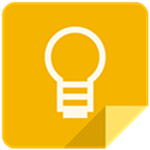 Since Google Keep was only up for a very short amount of time, it’s difficult to gather any further information at this point. With so many well-established note-takers on the market, Google Keep will have to maintain the Mountain View company’s strong reputation for great functionality if it is to prize consumers away from their current services. 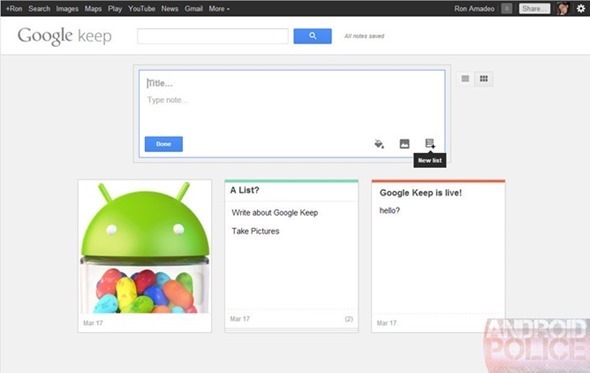 As well as the details leaked via the screenshot, an official Google+ post last year included a "save to Google Keep" feature, which would suggest there’ll be some offline reading capabilities thrown into the mixer. Knowing Google, there’ll probably be a couple more features bundled in once the product actually launches, but from what we’ve seen so far, it would appear that Keep covers all basic requirements of a note-taker. This recent leak suggests Google may be in the final stages of preparation before releasing the tool, so here’s to hoping for that imminent announcement. We will, of course, let you guys know if and when Google Keep becomes available to the end user, so be sure to stay tuned to our around-the-clock coverage here at Redmond Pie!